Collects Fantastic Four (1961) #1, #81, #132, #168, #265, #307, #347, #384 and #544; and Fantastic Four (1998) #42. 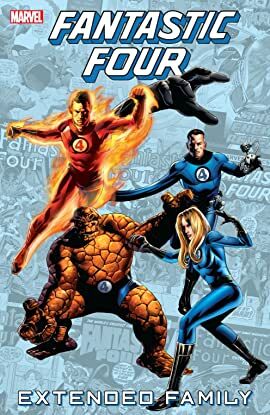 For decades, Mister Fantastic, the Invisible Woman, the Human Torch and the Thing have stood together as comics' first family of super heroes! 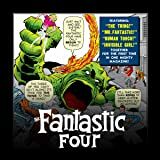 But even a family of heroes needs help, and the FF have often bolstered their ranks with friends and allies from throughout the Marvel Universe! Crystal! Medusa! Luke Cage! She-Hulk! Ms. Marvel! Spider-Man! Wolverine! Hulk! Ghost Rider! Ant-Man! Black Panther! Storm! Namorita! Witness the debuts of the Fantastic Four's fill-in members!